Okay, sometimes it IS who you know. Websites and books to help you define yourself, discover what your interests and work preferences are, learn what colleges best fit your interests, skills, and needs, find financial aid, and more! Confused about your path in life? What career or major would fit you best? First, take a career interest test to find careers and majors you might enjoy. Follow up by researching each career to decide whether you have an aptitude for it. http://careerservices.rutgers.edu/PCCPinterests.html – Short, fun, interest assessment that helps you put concrete labels on your career preferences-the first step in defining who you want to become. http://www.uwm.edu/Dept/CDC/online_tools.html – Match careers to your preferences with free online career assessments; includes guides to interpret the results. http://www.queendom.com/tests/testscontrol.htm?s=71 – Career aptitude tests from many different professions. Aptitude + interest = a match! O*Net online Detailed career information; contains downloadable, fun-to-use tools that help you define the kind of work experiences best match your personality and interests. http://www.collegeboard.com/student/csearch/majors_careers/index.html – General information on college majors and careers. http://mappingyourfuture.org/planyourcareer/careership/index.cfm – A career search tool tailored to the needs of high school students. What Can I Do WIth A Major in…- Links college majors to related careers. Occupational Outlook Handbook – Sponsored by the federal government and constantly updated; the most complete online source of career information. Online Batchelor Degree Programs Tips about networking, interviewing, resumes, etc. Search websites and professionally written guidebooks help you match up colleges and college programs with your own interests. Use them to build your college list, or narrow it down. Different sites often report different results, so try several of them. Find a College – The College Board’s Find a College interactive database. Colleges That Change Lives – 40 small liberal arts colleges of exceptional quality that are often more affordable-and much more nurturing-than the more widely known Ivy League schools. College Navigator – College Navigator college search. Virtual Tour – Take virtual tours of colleges and universities. Study Abroad – one of the top foreign study search engines. International Counselor college guides for the UK, Canada, and Australia. College Abroad – International colleges and universities. Search by region, country, or institution. Homeschooling the College-Bound Student, by Dawn Huyge-Opsal (to be published in 2009). An invaluable resource, not only for homeschooled children and their parents, but for anyone interested in applying to college. Make the process quicker and more efficient: follow these guidelines. The College Board – Organization – Organizing your search, the application, and more. GetReadyForCollege.com – A basic, step-by-step college preparation timeline. The College App Map, by Princeton Review (New York: Random House, 2007). A start-to-finish workbook for mastering the admissions process. The College Board – Essays – College essay writing tips. http://www.quintcareers.com/college_application_essay.html – Tips for success; sample essays. 50 Successful Harvard Application Essays, by the Staff of the Harvard Crimson (New York: St. Martin’s Press, 2005. The genuine article: authentic examples of inventive, creative ways to make your essay sparkle. The College Board – Interviews – Your starting point to prepare for college interviews. GoCollege.com – More basic advice, plus most commonly asked questions. Some financial aid, whether in the form of scholarships, merit aid, work-study, or loans, is available to students and/or parents in all income brackets. Apply for it even if you think you may not qualify-let the financial aid office make that decision! FAFSA – The Free Application for Federal Student Aid (FAFSA), the online application form that you file online at no charge. The starting point for all need-based aid. NOT Macintosh Friendly! College Board – Financial Aid Profile – CSS Financial Aid Profile – used by some private colleges as an alternative to the FAFSA, the Profile is a financial aid service that helps students find money for college. Its format is fairer in some ways to families with more complicated financial situations. “http://www.finaid.org”: http://www.finaid.org/ – General information about financial aid, with interest rate calculators and other tools. National Association of Student Financial Aid Administrators – NASFAA resources for students and parents. A very helpful and user-friendly site. Homeschooling the College-Bound Student, by Dawn Huyge-Opsal (to be published in 2009). Contains a clear, straightforward introduction to the financial aid process, with excellent advice on how to conduct a scholarship search. See Appendix B for a comprehensive list of useful financial aid websites. College Board – Aid Calculator – EFC (Expected Family Contribution) calculator. Another Calculator – Quick EFC calculator. U.S. Department of Education – Does your family qualify as “low income” for need-based aid? FastWeb.com – FastWeb is the most popular free scholarship locator site. College Board – Fund Finder – The College Board’s Fund Finder scholarship database lists scholarships and other financial aid. No charge. Meritaid.com – Search for aid based on “merit,” not financial need. Tall person? Skateboarder? Apply here. 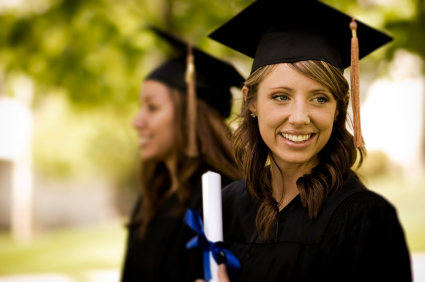 Sally Mae – Sallie Mae’s free scholarship search. While the search is free, the sponsor, Sallie Mae (SLM Corporation), is an educational lender that makes a profit on the money it lends you. Scam Avoidance – Avoiding scholarship scams. InternationalScholarships.com – Scholarships for study abroad. Many colleges require the SAT or ACT. Community colleges require the Accuplacer. Free test preparation help for all of these exists online. Educational Testing Service – The Educational Testing Service (ETS)‘s own website; the organization writes and produces the SAT, SAT Subject Tests, and the PSAT. College Board – Tests – Extensive info about the SAT, PSAT, and the SAT Subject tests; online registration and free test preparation, including the valuable free “Question of the Day” e-mail service. SATexamPrep.info – Free SAT exam tips. MajorTests.com – Free SAT test preparation online. Math Workout for the New SAT, by Cornelia Cocke (Princeton Review: New York, 2005). Reading and Writing Workout for the New SAT, by Geoff Martz (Princeton Review: New York, 2005). ACT.org – Producer of the ACT college admissions test – testing information including registration and practice tests. Free ACT prep course – Dawn Huyge-Opsal highly recommends this free ACT test prep course. They even send you email reminders to study! Another Free ACT prep course – ACT online free test prep. College Board – Accuplacer – General information on Accuplacer test and practice questions. Free Accuplacer exam questions – Unofficial, free Accuplacer information and exam questions. Online Quiz – Quiz yourself on art, language learning, chemistry, English grammar and comp, math, and geography while earning rice for the poor. Another of Dawn’s favorites. EducationPlanner.org – Tips and strategies on mastering all kinds of standardized tests, with special sections devoted to the ACT, SAT, and PSAT. NCAA – National Collegiate Athletic Association website. The definitive source for the latest eligibility rules for student athletes: complex, but comprehensive. NCIA – National Association of Intercollegiate Athletics website. CollegeStudentAthletes.com – How to combine athletics and academics without short-changing either one. NCSA – The college recruiting process – the official story. AHEADD.org – Coaching, mentoring and advocacy for college students and support for students in higher education with Learning Disabilities, High-Functioning Autism (HFA), Asperger’s Syndrome (AS), Non-Verbal Learning Disorder (NVLD) and Attention Deficit Disorder (ADD). LDonline.org – LD Online – college information for students with LD or ADHD. WrightsLaw.com – College Resources for students with disabilities. HoagiesGifted.org – College planning for gifted students. ActiveMinds.org – Active Minds is devoted exclusively to turning students into their own advocates to change both the attitudes about student mental health and the interventions used to treat campus mental health disorders. BPHope.com – Lists colleges that provide adequate mental health services for their students. Scroll down the page for direct links to great internet resources on these topics. This is not an exhaustive list of resources. The websites and books listed here are chosen with an eye to reliability and ease of use. A much more comprehensive list has been compiled by my UCLA College Admissions Counseling Certificate Program classmate and colleague, Dawn Huyge-Opsal, of Bemidji, Minnesota. Her e-book, Homeschooling the College-Bound Student (to be published in 2009) is an invaluable resource in itself, not only for homeschooled children and their parents, but also for college admission counselors and for anyone interested in applying to college or seeking financial aid. Dawn’s book contains a much fuller list than the one I have presented here, and was the inspiration for my own ongoing efforts to supply the best materials for use by high school students. I would also like to thank the teachers in UCLA Extension certificate program for their guidance and suggestions, so helpful to both Dawn and myself.